One of the other wonders of this time is the power of leverage. Leverage of compounding isn’t new, at least not anymore it’s been proposed ever since the times of Benjamin Franklin and Einstein. One amazing powerful leverage is the leverage of people- the power of Network marketing. People coming together to help each other. A whole lot of people are so quick to speak against or condemn the business model, especially where I live here in Nigeria. Yet, a large percentage of these people have never read a single book on Network marketing and in some cases even business systems. My first foray into network marketing was back at the University as an undergraduate, having witnessed my parents being employees start different businesses, I watched them fail in some and succeed in some of other ventures, I got to school with entrepreneurial thoughts in my mind, I wanted to be financially free and in actual fact I had plans to sell my way through school and as that I could likely buy a car as an undergraduate- which I never did, however, I discovered that school was meant to take on all the time you had while all the other times I could squizz out I did engage in other nice activities from Christian programs, a bit of basket-balling to inter-state travels and of course I did some business, which i will regard as part of my learning stages. The first of this businesses I did on the campus was joining an MLM company that had to do with health products. As an Engineering student I was devoting some time to learning much about the products which were majorly heath products, I did manage to do some good sales with some profits but I couldn’t sustain it perhaps based on my lack of connection of the biochemistry of the products with my present field of study. However I never had a taste of reward . And years after school I began to understand more the power of networks and most especially of people networks in Multi-Level Marketing in the right company. So after much research, I decided to join this amazing vehicle- (the company, products and amazing marketing plans/rewards system) which I currently drive . I have consciously started to drive the vehicle in last couple of months and I have had a taste of the exciting rewards more than once, yet I am excited at the endless possibilities which lie ahead of me and my growing team of friends on this journey to financial freedom. I am also excited at the wonderful opportunities our company continue to provide members to increase their financial Intelligence, and also to be able to create different categories of income and most especially passive income, which is instrumental to being financially free. Since network marketing is one of the 5 Channels of Wealth creation, I have decided by God’s grace to passionately drive this vehicle with focus with much speed on my way to financial freedom within the next 30 days and I will explore the opportunities to empower more people through the business even in year to come. TO learn more about the opportunity please contact me through the link or give me a call . As time is of the essence in every opportunity. I am not satisfied after reading this post. 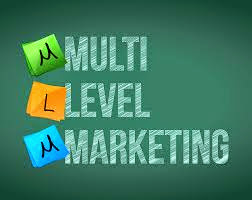 Just I am looking some special details about MLM business. Here you presented only few things about that. I trust you can provide more information in your other post. Thanks Shyni for the comment. This piece is an introductory piece about my personal journey into MLM, I will provide other great guides soon , but please check www.a2wglobal.com/emmandus for some highlights.